The northern mountainous province of Ha Giang is a leading locality in the country with 99.78 percent of its voters having cast their ballots to elect deputies to the 13th National Assembly and People’s Councils at all levels for the 2011-2016 term by 17hrs on May 22. 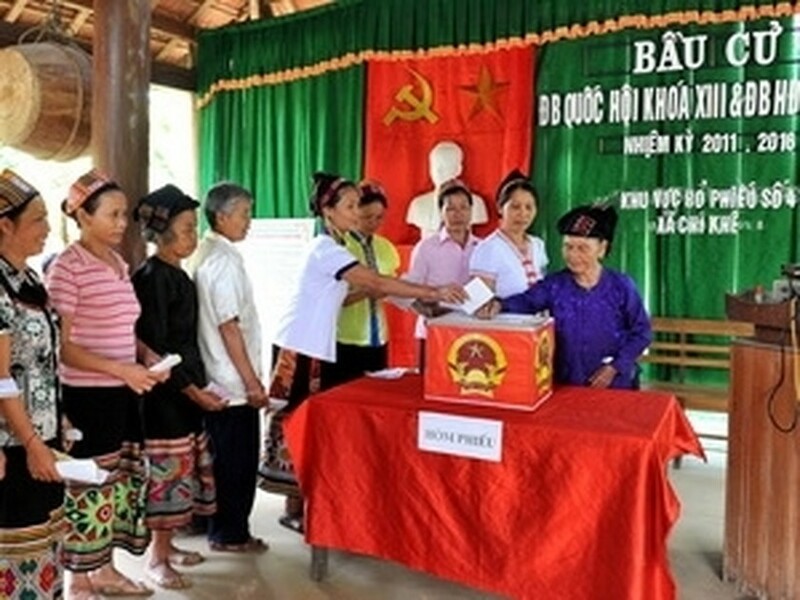 The Elections Council said that Ha Giang is followed by the Central Highlands province of Kon Tum, with 99.50 percent; the Mekong delta province of Vinh Long, 98.80 percent; the northern mountainous province of Lai Chau, 97.59 percent; the Central Highlands province of Lam Dong, 96.67 percent and Hanoi, 95.36 percent. Although many areas have completed the work, the votes will be counted after 19hrs the same day in line with the law, said the Elections Council, adding that social security and order were maintained during the elections day. The Election Council will announce the result of the elections as soon as possible, said EC Secretary General Pham Minh Tuyen.